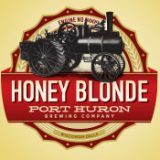 Our best seller – Port Huron Honey Blonde is a light, easy-drinking Blonde Ale. Brewed with pure Wisconsin Honey, it makes for a refreshing experience year-’round. A beer that will be enjoyed by both seasoned craft-beer drinkers, as well as folks looking for a “traditional’ beer to introduce them to Craft-brewed beer. 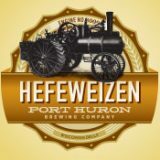 Port Huron Hefeweizen is brewed in the tradition of German Wheat Beers. The classic aromas and flavors of Banana and Cloves, with the effervescent ‘bubbliness’ of this all-too-easy-to-drink traditional wheat beer. 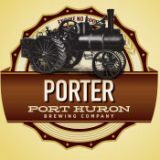 Port Huron Porter is brewed in the Robust Porter style. Dark, chocolaty, and roasty, without the black malt ‘bite’,this is a smooth, tasty Porter. Seasoned craft-beer fans will enjoy this, and newcomers to this style will be pleasantly surprised. Our Twelve Bottom IPA is a Midwestern-style IPA brewed for Midwestern folks! Not ultra-bitter, and brewed with local hops, this is an ALL Wisconsin beer! 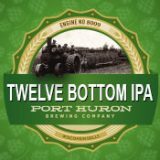 Twelve Bottom IPA is brewed with malted barley from Briess Malting in Chilton, WI and Wisconsin-grown hops from Gorst Valley Hops. Malt and hop bitterness strike a good balance with enough bitterness to fit the style, but not overpowering. Plenty of great hop flavor and aroma are present as well. It’s an IPA you’ll keep coming back for! Bright and crisp, this traditional Czech-style pilsner presents a clean malt finish with a hint of hop bitterness. 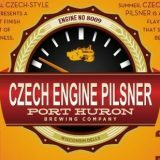 Perfect for the Wisconsin summer, Czech Engine Pilsner is a bright and flavorful beer that should not be ignored. 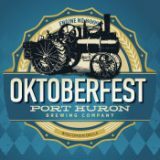 Port Huron Oktoberfest is brewed in the style of a Marzen/Oktoberfest beer. A malty, satisfying lager, Oktoberfest is a great beer for the Fall Season. 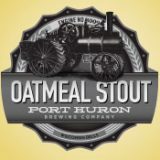 Port Huron Oatmeal Stout is great fall and winter brew. Lots of roasted and caramel malts along with the addition of oats creates a heavy-duty , black beer. Teeming with malty, roasty goodness, Oatmeal Stout also presents a silky-smooth creaminess provided by the addition of real oats to the brewing process. Just the beer for those cold, winter nights! A traditional low alcohol mixture of beer and lemonade. Perfect for the summer months! Light and refreshing, this may be your next all day beer! This hefty Maibock is brewed with just the right amount of smoked malt to give it a fantastic smoky nose and the right amount of smoky flavor. Dangerously drinkable! Available in spring for a limited time! 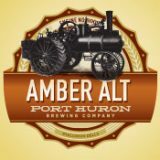 Port Huron Alt Bier is a German style Amber Ale. Brewed with roasted and amber alts, along with German Hops, this malty ale has a clean finish with just the right amount of bitterness. A traditional German Ale that is just right for any occasion! 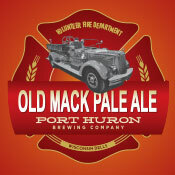 Named after the classic fire engine of our local Kilbourn Fire Department, The Old Mack is everything you want in a pale ale. Featuring an aroma with floral and citrus notes, this pale ale exhibits a complex hop flavor with a clean finish. The Old Mack will have you coming back for more! 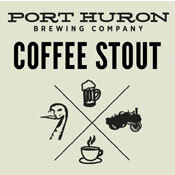 Oatmeal stout brewed with Bella Goose roasted coffee beans. Like a cup of cold brew coffee, but in beer form!